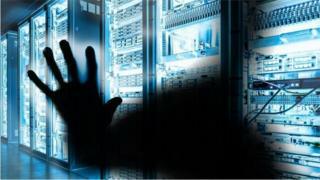 The UK's top cyber-defence centre has stopped Britain falling victim to almost 1,200 attacks in the last two years, its annual review reveals. During its first two years of operation the NCSC has also tackled phishing sites which prey on UK consumers. "We are calling out unacceptable behaviour by hostile states and giving our businesses the specific information they need to defend themselves," said Ciaran Martin, head of the NCSC, in a statement. Late last year, Mr Martin singled out Russia as one power actively working to attack firms working in the UK's media, telecoms and energy sectors. Revealing the review, Mr Martin said the Centre was also doing work to fortify the UK's critical infrastructure and to wrap other protections around the net, so it was "automatically safer". Mr Martin said he had "little doubt" that the UK would at some point be "tested to the full" by a major incident.